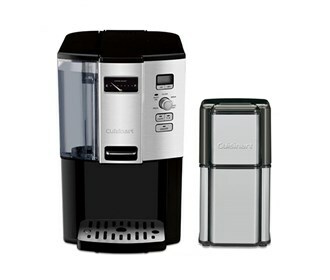 The Cuisinart DCC-3000/DCG-12BC is a combination of 12 Cup Coffeemaker and Grind Central™ Coffee Grinder Kit. 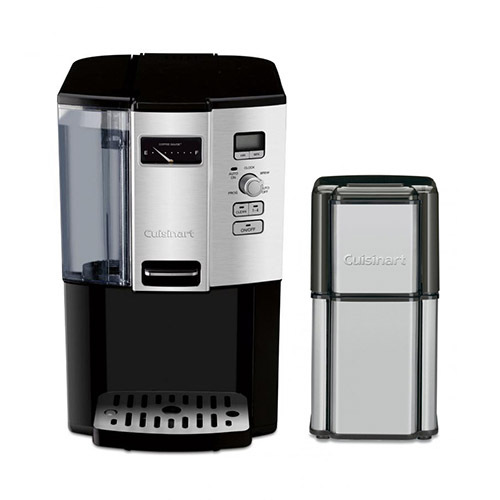 The Cuisinart DCC-3000 carafe-free coffeemaker features an easy-to-read Coffee Gauge™ to show remaining cups of coffee. The machine brews up to 12 cups of hot coffee cup by cup and offers 24-hour programmability, self clean, auto shutoff and 1 to 4 cup setting. The 12 Cup Programmable Coffeemaker & Grind Central Coffee Grinder Kit has many exciting features for users of all types. 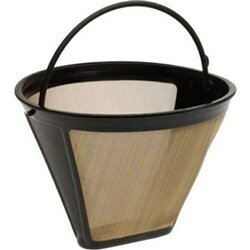 See the 12 Cup Programmable Coffeemaker & Grind Central Coffee Grinder Kit gallery images above for more product views. 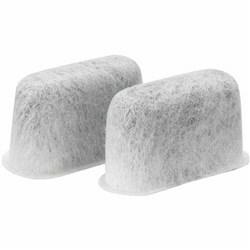 FactoryOutletStore stocks a full line of accessories like Cuisinart DCC-RWF and Cuisinart GTF Single Pack for the 12 Cup Programmable Coffeemaker & Grind Central Coffee Grinder Kit. The 12 Cup Programmable Coffeemaker & Grind Central Coffee Grinder Kit is sold as a Brand New Unopened Item.